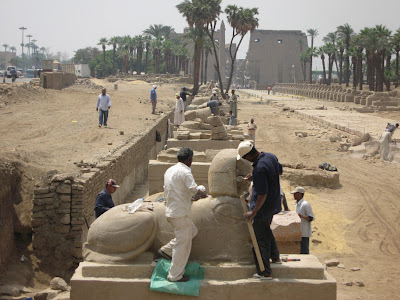 A grand opening is due to take place in October 2011 to celebrate the newly restored Avenue of Sphinxes. 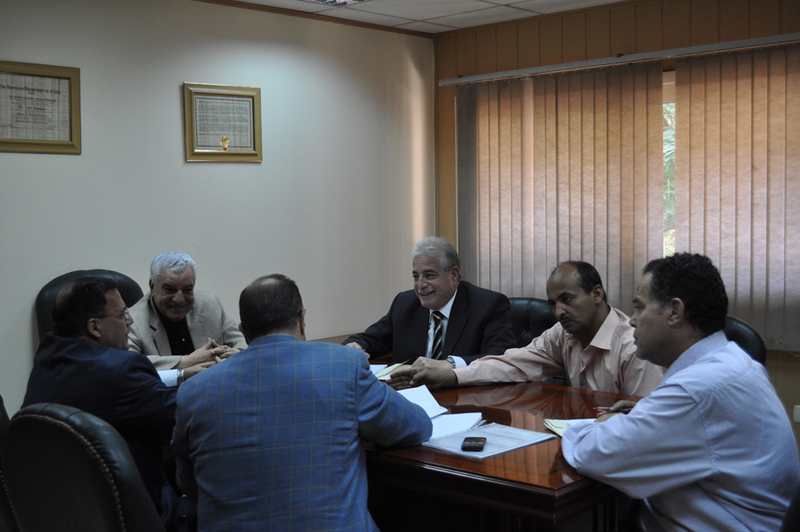 The attendees have agreed to organize a festival during the month of October to open the project and attract international tourism to Luxor. The important event will be opened by the Prime Minister of Egypt, Essam Sharaf, and is to bring together various government ministries such as the Ministry of Tourism and Ministry of Culture. Lined with sphinxes, the 2.7km route that connects the grand temples of Luxor and Karnak will be lit by the Sound and Light Company of Egypt. Company president, Essam Abd El Hady, made it clear that the sophisticated lighting design would be appropriate to the archaeological importance and beauty of the site. The company will use a new, advanced type of lighting to focus on the avenue and additional archaeological discoveries, such as workshops and wine factories dating to the Greco-Roman period. For the last 5 years, the restoration project has focused on excavation, conservation, treatment of the water table, and the establishment of protective walls and entrances for tourist. The 120million LE project also involved relocating houses and removing roads, with full compensation paid to all those affected by the development. The impressive avenue has long been a place of religious significance. In her red chapel in Karnak, Queen Hatshepsut (1502-1482 BC) recorded that she built six chapels dedicated to the god Amun-Re on the route. Successive construction and restoration work commenced during the reigns of Akhenaten (1353-1336 BC), Tutankhamun (1336-1327 BC) and Horemheb (1323-1295 BC). 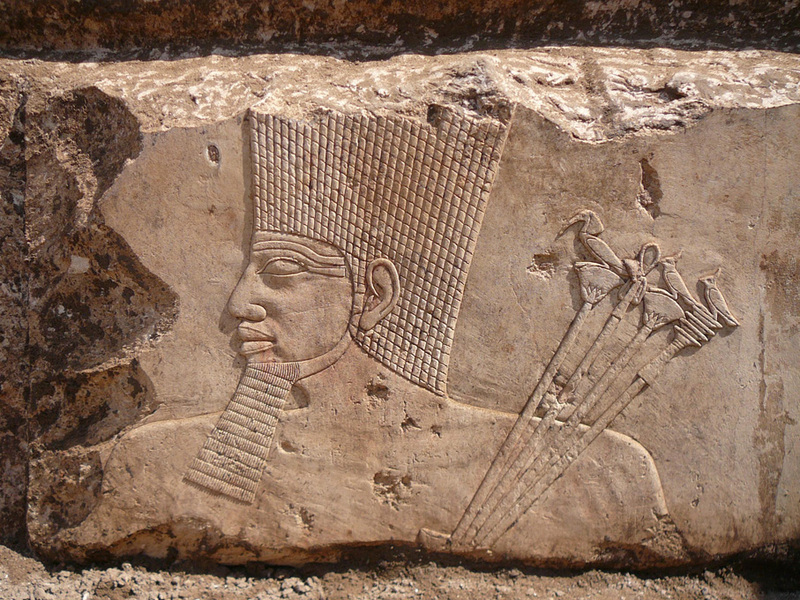 King Nectanebo I (380-362 BC) of the 30th Dynasty constructed the Avenue of Sphinxes on the older path. It was used for religious ceremonies and processions, marking the annual journey of the sacred boat of Amun on the god’s visit to his wife, Mut, at Luxor temple. An inscription from this time reads “I have built a beautiful road for my father Amun-Re surrounded by walls and decorated with flowers for the journey to the temple of Luxor”. Another inscription bears a cartouche for Queen Cleopatra. It is most likely to be from her visit to the avenue during a Nile trip with Mark Anthony. 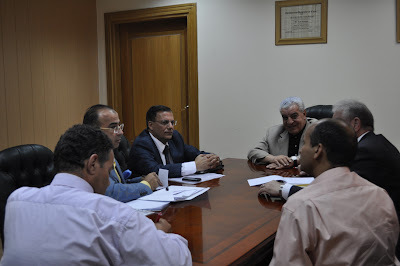 Dr. Zahi Hawass, The Minister State of Antiquities, decided to appoint Dr. Mohamed Abdel Maksoud as the Secretary General of the Supreme Council of Antiquities and transfer all the Supreme Council departments to the headquarters in Abbasia. 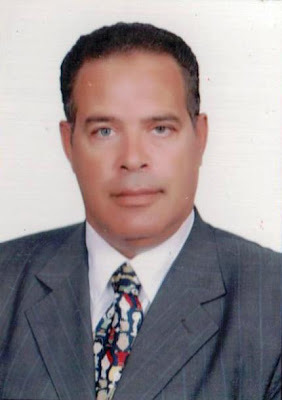 Dr. Abdel Maksoud held the position of the general supervisor of the minister’s office as well as serving as the head of the central administration of Lower Egypt and Sinai Antiquities. It has been a dream for about 8000 archaeologists to establish their own syndicate as a mean to provide them with better working conditions and be united in their demands. The dream will finally come true as Dr. Mohamed Abdel Maksoud said that the syndicate will be declared in the celebration which will be held at Salah El Din citadel in Cairo, on Sunday 3rd July at 5pm. 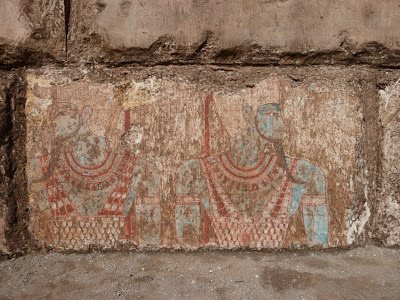 French archaeologists in San El-Hagar have discovered hundreds of coloured and inscribed limestone blocks, which they believe were used to build the sacred lake walls of a temple dedicated to the goddess Mut. The limestone blocks may have belonged to King Osorkon II of the 22nd Dynasty and used for either a temple or chapel, announced Dr. Zahi Hawass, Minister of State for Antiquities today. The stone may have also been reused in the late period and the Ptolemaic era. 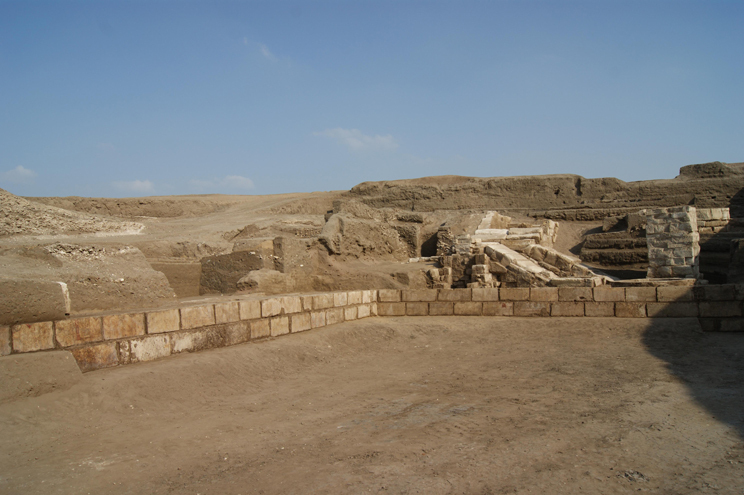 Dr. Hawass added that following a complete excavation and study of the blocks, the French mission would reconstruct the original arrangement to determine if they are from a temple or chapel. Dr. Philippe Brissaud, director of the French mission, confirmed that the sacred lake measures about 30m by 12m with a depth of 6m. The team has so far cleaned about 120 blocks, 78 of which have inscriptions. Two blocks belong to King Osorkon III or IV, while the inscriptions mention the title “Mistress Mut of Isheru Lake” indicating both goddess and lake during the 21st and 22nd Dynasties. 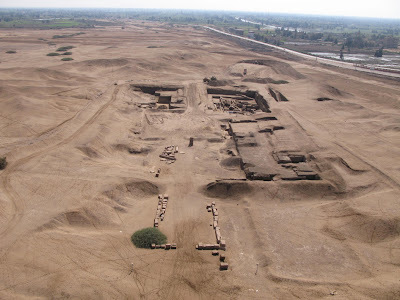 Dr. Mohamed Abdel Maksoud, Head of Office at the Ministry of State for Antiquities, said that this discovery adds great importance to the San El-Hagar site, one of the most archaeologically rich areas of the delta known as the ‘Thebes of the north’. The region is a huge priority for the Ministry of State for Antiquities who have set aside a budget of 50 million L.E to lower the water table, control agricultural drainage, and build an open-site museum complete with visitors center, tourist facilities and a museum magazine. 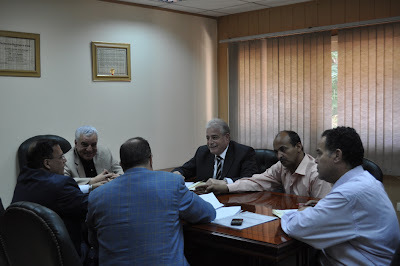 Mr. Ibrahaim Suleiman, general manager of Sharkia archaeological sites, mentioned that San El-Hagar (Tanis during the pharaonic era), 70km northeast of Zagazig city, is one of the oldest Egyptian cities and contains many temples belonging to the god Amun. It was the capital of Egypt during the 21st and 22nd dynasties. Excavation work began at this site in 1860 by Auguste Mariette, followed in 1884 by Flinders Petrie who discovered the Temple of Amun inside the old city. From 1928 to 1958 a French mission directed by Pierre Montet excavated the temples of Mut and Horus and the treasure of the royal necropolis, currently on display at the Egyptian Museum in Cairo. Now under the direction of Dr. Philippe Brissaud, the inscriptions of this latest discovery are thought to be amongst the best quality reliefs to be found in Egypt.